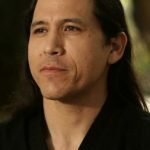 Sensei William Christopher Ford is the Chief Instructor at Kaizen Dojo in Torrance, CA. Sensei Ford began his lifelong study of the martial arts in 1974 at the age of 7 (at the urging of his mother who is from Japan) in the Okinawan art of Shorin Ryu Karate-Do (Kobayashi Ryu) under the late Sensei Richard Rabago. He was tested for and was promoted to black belt at the age of 13 by Master Tadashi Yamashita, but only after he had failed the test on his first attempt months earlier. The take-away for him from this experience was to never give up and always do your best. Since then, he has never looked back and continues his martial arts journey to this day. Sensei Ford is highly regarded for his warmth, patience, open-mindedness, high energy, enthusiasm, sense of humor, and dynamic teaching style. “I look forward to our journey of growth and continual improvement together.